The dispute styled In re the Matter of The Mark Vance Condiotti Irrevocable GDT Trust (Condiotti)1 was first tried before a Colorado probate court, and on appeal was decided by the Colorado Court of Appeals on July 9, 2015. The case involved whether or not the trustees of an intentionally defective grantor trust had the ability, consistent with their fiduciary duties, to reject the grantor’s request to exercise his power of substitution. A defective grantor trust is not included in the grantor’s estate due to certain features, such as providing the grantor the power of substitution to remove certain assets held by the grantor trust in exchange for an asset or assets of supposedly equivalent value. In Condiotti, the grantor (or settlor) attempted to exercise his power of substitution, but the trustees refused to execute the transaction. The trustees refused because the asset proposed to be swapped into the trust was a promissory note owed by the grantor that the trustee determined to be less than equivalent value. The trustees reached this conclusion because the note bore a low interest rate (the Applicable Federal Rate or AFR) that did not adequately reflect the risks of the obligor and lack of marketability of the note. A second contention of the trustees was that the proposed substitution constituted a loan. Such a loan was forbidden by the trust indenture. Both the probate court and the Colorado Court of Appeals (the Court of Appeals) ruled in favor of the trustees. The trustees were deemed to have properly executed their fiduciary duties. The probate court had ruled that the proposed substitution both constituted a loan and the substituted property was not of equivalent value. The Court of Appeals did not address the issue of equivalency of value. Rather, the Court of Appeals ruled on the basis that the transaction was effectively a loan, in violation of a provision in the trust instrument forbidding such. With respect to determining the equivalency of value by the fair market value standard, this dispute may serve as a simple lesson for trust substitution transactions that can be more complex. Such complex transactions occur when the trust corpus consists of an ownership interest in a privately held operating company, limited partnership units of a private equity fund, or otherwise nonmarketable assets. At the conclusion of this discussion, a more complex example, with exhibits, is presented whereby the substituted property is not of equivalent value. For purposes of federal estate tax, a grantor trust is a separate entity that is excluded from the grantor’s estate. 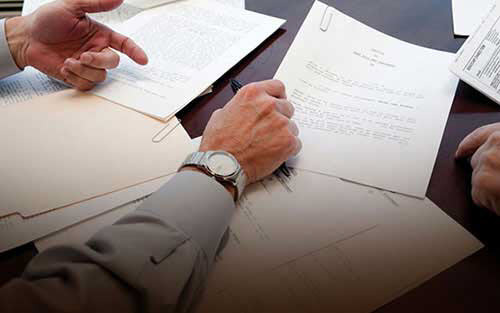 The grantor pays any income, gift, and capital gains taxes incurred by the trust. Another feature of grantor trusts is a privilege conferred to the grantor called “the power of substitution.” This power allows the grantor, in their discretion, to remove any asset or assets from the trust corpus in exchange for another asset or assets of equivalent value. The reason why many grantor trusts contain this provision is that it is one condition by which the Internal Revenue Service (the Service) recognizes a trust as a grantor trust. In other words, when a grantor exercises its power of substitution, it does so in a nonfiduciary capacity, and a fiduciary (the trustee) cannot have this power. Also interesting, in the context of Condiotti, is that the power of substitution can be exercised without the approval or consent of the trustee (the fiduciary). This language did not address and forestall situations when a grantor may abuse this discretionary ability and substitute assets that were not of equivalent value. In Condiotti, the grantor trust (the Condiotti Trust) settlor, Mark Vance Condiotti, appealed the probate court’s order that had been found in favor of the defendant co-trustees, Patricia G. Condiotti and MidFirst Bank. Defendant Patricia G. Condiotti was the wife of plaintiff Mark Vance Condiotti. The dispute arose out of the trustees’ refusal to honor the grantor’s election to substitute a promissory note to be owed to the trust by the grantor for the value of the entire trust corpus,5 which equaled $9,500,000. The promissory note was not of equivalent value. The Court of Appeals’ focus was on the original intent of the settlor when the trust was created, rather than his intent when he later attempted to exercise his power of substitution. One such intent, as expressed in the language and provisions of the trust instrument, was the prohibition from obtaining a loan from the trust’s corpus. The trustees, in their capacity as fiduciaries, acted properly when they considered whether or not the proposed substitution was effectively a loan. Was a promissory note executed? Did the parties agree that the recipient would repay the money received? The Court of Appeals decision hinged entirely on whether the proposed transaction was a loan, rather than the issue of equivalent value. The Court of Appeals determined that the proposed transaction did indeed violate a provision of the trust indenture because it constituted a loan. In Condiotti, was the Court of Appeals’ emphasis on the transaction’s status as a loan, and decision not to rule on equivalent value of substituted property, necessarily a blueprint for such transactions? Benson v. Rosenthal9 suggests not. The Benson case involved trusts that owned interests in the New Orleans Saints and Pelicans franchises, a television affiliate, and other businesses and investments. The trust instruments contained the power of substitution. That power was similarly challenged by the trustee when promissory notes were proposed to be substituted for property of equivalent value. In the Benson case, the U.S. District Court of Appeals for the Eastern District of Louisiana ruled in favor of the grantor. The court concluded that the promissory notes were assets and of equivalent value. Considering that in Condiotti, the probate court, unlike the Court of Appeals, did rule on the issue of equivalent value, as did the Benson court, it stands to reason that any exercise of the power of substitution should include an independent determination of fair market value for each property involved. This article was previously published in Willamette Insights, Spring 2018 Issue. In re Matter of Condiotti, No. 14CA0969 (Col. App. July 9, 2015). A trust’s corpus is akin to a corporation’s shareholders’ equity—assets minus liabilities. In re Matter of Condiotti, No. 14CA0969 at 5. Love v. Olson, 645 P.2d 861, 863 (Colo. App. 1982). Rev. Rul. 1985-13, 1985-7 I.R.B. 28. Thomas Benson v. Robert Rosenthal, No. 15-782, 2016 WL 2855456 (E.D. La. 2016). In President George Washington’s will, he wrote a similar provision to resolve any challenges. Samuel S. Nicholls is a manager at Willamette Management’s Atlanta practice office. Mr. Nicholls can be reached at (404) 475-2311 or by e-mail to ssnicholls@willamette.com.